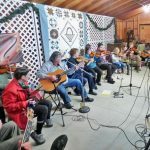 A reminder that this coming Sunday, February 3, is the monthly Fiddlers’ Jam in the Barn. The gates open at 11am with the Fiddlers starting their happy music from 12 noon to 2pm. Following the fairly new tradition, there will be food and beverages available for sale. 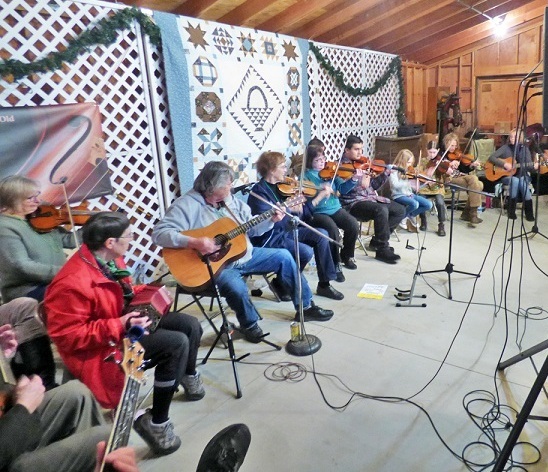 The Fiddlers play….rain or shine. Last month the sound of the rain on the tin roof was magical. The February Raffle Basket is titled Hearts and Flowers, just perfect for Valentine’s Day. Docent Suzanne uses her decorative skill to fill the basket with goodies which will include wine, candy, and fresh flowers from Flowers by Traci in Kelseyville. An added bonus is a Gift Certificate from Woody’s, also from Kelseyville. The Ely Docents are most grateful to these businesses who support the venue projects. On Saturday, February 23rd, the Ely Docents are excited to present the first History Speakers for 2019. Kelseyville resident Bob Prather and Cobb resident Darlene Hecomovich will tell stories of their pioneer families’ involvement in the Cobb Mountain resorts of the 1940’s. Bob’s family was involved with Adams Springs and Loch Lomond. Darlene’s family was involved with Seigler Springs and Hobergs. Come and hear their stories and learn more of Lake County’s history of the glory days gone by. The speakers will begin at 1pm.